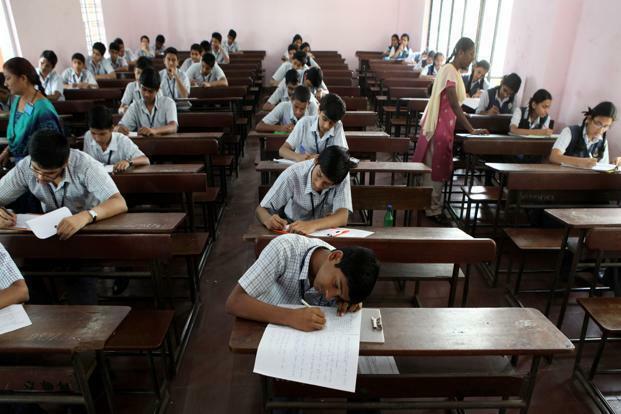 New Delhi: The Union government is bringing back examinations in elementary schools across the country and Class X board exams for Central Board of Secondary Education (CBSE) students. At a meeting in New Delhi attended by state education ministers on Tuesday, it was decided that the human resource development (HRD) ministry will bring an amendment to the Right to Education (RTE) Act to allow states to conduct exams in elementary schools, and issue an executive order bringing back CBSE Class X board exams. While the CBSE Class X board exam is set to return in 2018, exams in elementary schools may be held from the academic year starting in 2017. Both moves will impact nearly 200 million students. The quality of education and learning outcomes in schools were deteriorating, HRD minister Prakash Javadekar told reporters after the meeting of the Central Advisory Board on Education (CABE), comprising state education ministers and independent experts. Headed by the HRD minister, CABE is the highest advisory body on matters of education policy in the country. “It was agreed that the central government may bring in suitable amendment which will give states freedom to review the no-detention policy. We will take this to the cabinet now,” Javadekar said. He said that the centre, through an amendment to the Right to Education Act, will allow states to either retain the no-detention policy or scrap it. The middle path was arrived at after six states backed the no-detention policy, saying that it has helped arrest the dropout rate in schools. Under the current provision, no child in the 6-16 age group can be detained till Class VIII. “Those states that are against the policy are free to bring in exams at the Class V and Class VIII level after the RTE Act amendment. Those in support can continue to keep the no-detention policy as it is,” the minister said. On the Class X board exam, he said all state boards are already holding exams and only CBSE has kept it optional. CBSE, which functions under the HRD ministry, will do whatever is required and give students at least a year’s time to prepare for the exam. “We will not hurry the decision; 2018 academic year is what we should target,” Javadekar said. Though Javadekar did not spell out the details of the board exam, as per feedback shared by the CBSE with the HRD ministry and reviewed by Mint, the final marks or grades in the board exam are expected to carry 80% weightage, with classroom assessments under the continuous comprehensive evaluation system, in place for the past six years, making up the rest. The Class X board exam was made optional by the CBSE during 2009-10 when the United Progressive Alliance was in power. The ministry will also specify learning outcomes for students from Class I onwards under the RTE Act.